Opening: March 7, at 20:00 h.
In the early 1980s, after her time in the United States, Soledad Sevilla (Valencia, 1944) expanded her field of action to installation art. A pioneer of this medium in Spain, she is also one of the artists who has most effectively explored its possibilities, often working with different types of public spaces. Although she started out in the field of geometric painting in the 1960s, Soledad Sevilla’s time at the Computing Centre in Madrid piqued her interest in aspects related to the repetition and variation of units and lines. 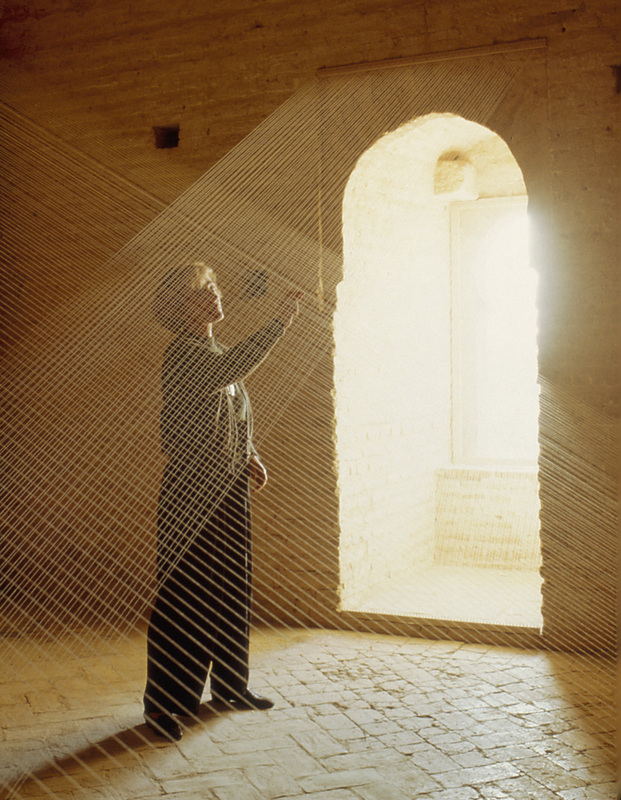 For much of her career, forms and patterns made from lines have characterised her unique way of understanding and constructing painting as well as diverse floor and string installations. also marked the evolution of her pictorial series and installations. 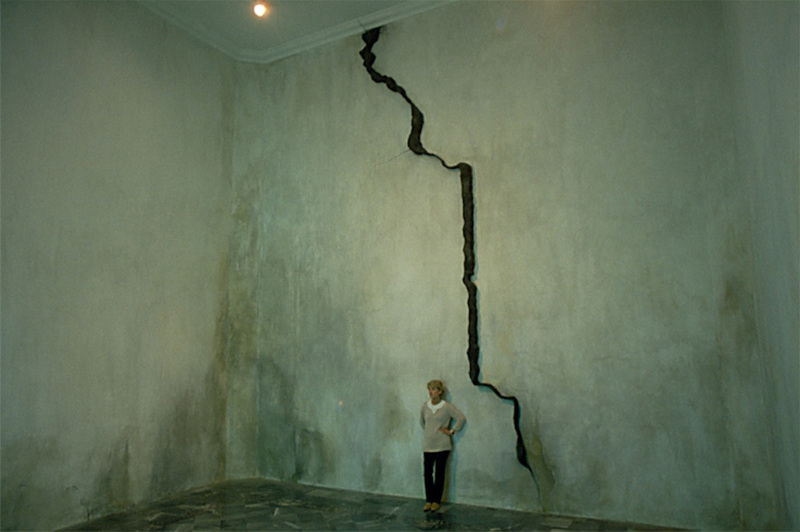 The relationship between her paintings and installations is complex and rooted in a process of continual feedback: one medium initiates a series, while the other is needed to continue and develop it. Her keen interest in and understanding of two- and three-dimensional space, which has grown broader and deeper over the years, stems from her early work with analytical and geometric painting. in Almería, the next stop on the timeline and in the exhibition itinerary. 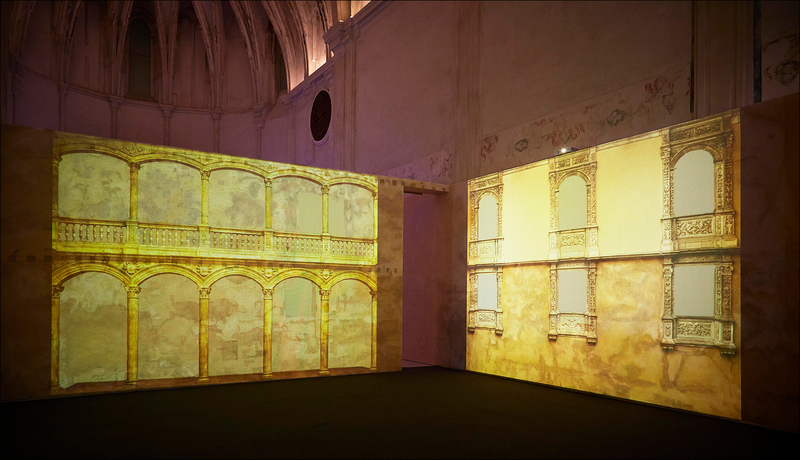 Soledad Sevilla’s nstallation at that castle was a landmark piece, and its current recreation and adaptation to another monumental space also represents a new addition to the CAAC collection, having been donated by the artist. Finally, the show concludes with two installations made of white cotton thread, derived from her site-specific interventions in La Algaba, Seville.